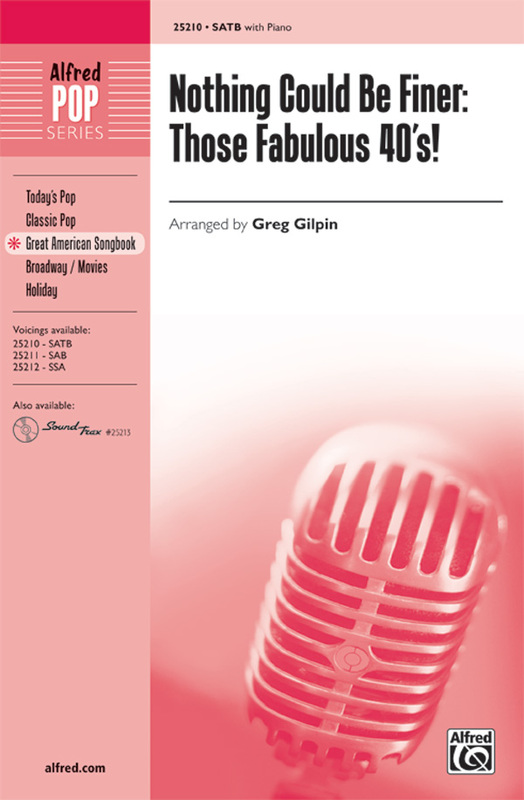 Greg Gilpin: Nothing Could Be Finer: Those Fabulous '40s! Greg Gilpin has put together a fantastic, swingin' medley of some of the greatest hits of one of our greatest musical decades, the 1940s. Includes "Jumpin' at the Woodside," "Jersey Bounce," "On the Atchison, Topeka, and the Santa Fe," "Chattanooga Choo Choo," "Pennsylvania 6-5000," and "Tuxedo Junction." Need we say more? Greg Gilpin : Nothing Could Be Finer: Those Fabulous '40s!